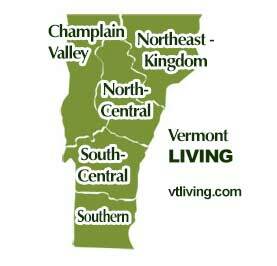 Southern Vermont includes the famous Mt. Snow region, the Deerfield Valley, historic Manchester, Arlington, Bennington, and Shoreham. 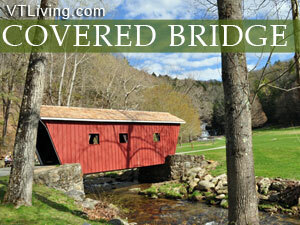 A short venture off of scenic Route 100 will bring you to several historic covered bridges. Slow down, take your time on the dirt and gravel roads in this area and discover some of the state’s most interesting covered bridges. 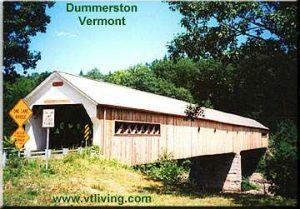 Please share your VT Covered Bridge comments. To feature your business, contact us. Built in the 1840’s using town lattice style trusses the Silk bridge crosses the Walloomasac river on Rte 7A. Built in 1889 by Charles F. Sears, this bridge was constructed using the Town Lattice style trusses and in easily visible from Rte 7A. Completely rebuilt in 1989, this bridge was the location where Ethan Allen and the Green Mountain Boys confronted and sent home a NY sheriff who had come to remove the existing landowners. This was one of Vermont’s moments of independence. Built in 1870 to span the Roaring Branch, this Town Lattice truss bridge was built by Daniel Oatman. Built in 1852 by an unknown builder this bridge uses the Town Lattice truss design. Built in 1897, this Howe Truss Bridge is one of the few surviving railroad bridges in the state. Built in 1870 Town Lattice is unique in that local residents keep their mailboxes inside it. Built in 1879 this 80 ft Town Lattice design spans Whetstone Brook. Built in 1872 this two span 280 ft Town Lattice was completely repaired in 1993. Built around 1870 this 118 ft Town Lattice design is used daily. Now a state-owned historic site, this 1870’s has differing types of construction throughout it. Built in 1870 this modified Kingpost bridge was strengthened in 1995. Built in 1870, this town lattice was completely rebuilt after an overloaded truck shattered pats of it. Built in 1872, dismantled in 1959 and rebuilt at the present location in 1968 as an ornament to the VT Country Store on Rte 103. Built about 1870 this town lattice design spans the Williams River. Built about 1870, this 159 ft Town Lattice design spans the Williams River and was rebuilt in 1983. Built in 1870 and moved near the the state’s oldest one room school house in 1970. This is a 37 ft Town lattice bridge. Built in 1880 this 48 ft Multiple Kingpost design was moved to preserve it from a control dam flood. Built in 1840 this 120 ft Town Lattice design was restored in 1975-1976. Built in 1875, this 53 ft multiple kingpost was moved to save it from control dam flooding. Built in 1949 this privately owned bridge is a 22 ft Town Lattice Truss bridge. A nice red color makes for great pictures.